Located on the southern side of Alappuzha beach, this beautiful park is one of the favourite hangout for the locals. Filled with lush green trees, this park is a welcome break after you had your fun time on beach. 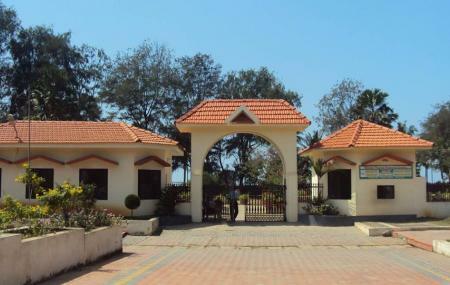 Apart from its rich greenery, the park also has many facilities. For instance, for tiny tods the park has a separate section that includes swings and slides. The park also has a toy trains that takes the tiny tods on a ride around the park. In the evening, many cultural events take place. Boating facility is also available within this park. All in all, this place is a perfect destination to spend a weekend afternoon. If you are with your family, then you should definitely visit this park. Boating: Rs 10 for 10 minutes. By hired car or taxi from the city. Love this? Explore the entire list of places to visit in Alleppey before you plan your trip. Fancy a good night's sleep after a tiring day? Check out where to stay in Alleppey and book an accommodation of your choice. How popular is Vijay Beach Park? People normally club together Marari Beach and St. Marys Syro-Malabar Catholic Forane Church, Champakulam while planning their visit to Vijay Beach Park. Very good entertainment for kids. Various rides are available with qualified and professional staffs. 9D theater is a tremendous experience. Game centre is prepared in international standards. People in all age range can enjoy the Amaze world. Nice entertainment place for children at Alleppey.. But you should have a membership card and value uploaded to it to avail the services.. Lot of games for children.. Free games for entertainment also available for children's..